Who hasn’t dreamed of commanding a horde of minions, blazing a path of destruction through their enemies while cosplaying as Sauron and brandishing an outlandishly oversized weapon? …What? Why am I the only one who has that dream? Well, I suppose if you’re a deviant like me, then Overlord 2 may just be your perfect game. You begin the game not as an Overlord, but as the Overlad: a terrifying youth with magical powers, shunned by the village you live in. One day, while being chided by the village children, a group of minions find you and encourage you to terrorize the village with your powers, proving to them that you are fated to become their Overlord. The resulting tutorial becomes a sort of demonic Dennis the Menace simulation, wherein you terrorize the populace and knock over snowmen to be spiteful. You then become the supreme Overlord, and must command your army of minions to dominate the world, battle an evil (but not as evil as you) Empire, take on four wives and kill a pack of PETA-esque hippie elves. 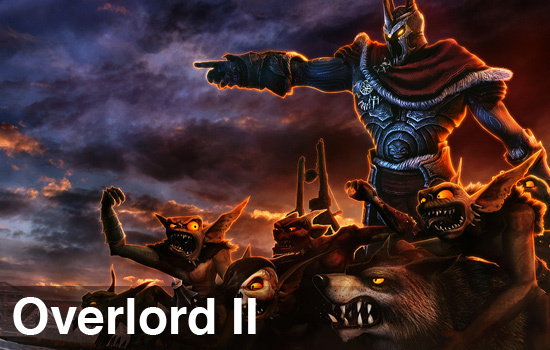 The heart of Overlord 2 lies in controlling your various minions, memorizing the rock/paper/scissors-ish relationship that each type has with enemies, and deploying them to great success. Defeating enemies causes their armor to splinter and break, as well as their weapons to drop to the ground, and sending your minions out will cause them to pick up whatever happens to be lying around and equip it, increasing their damage output and chances of survival. 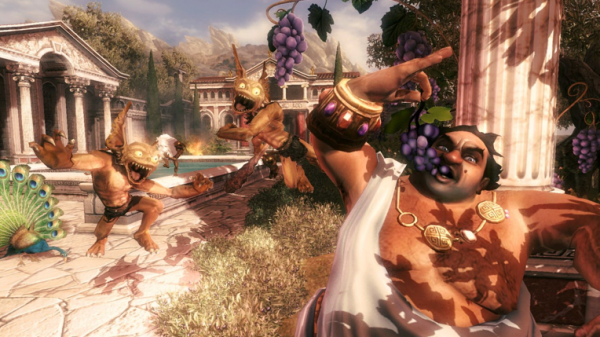 In a nice twist, you'll see minions wearing oversized centurion helmets, brandishing swords, and in the case of the tutorial, wearing baby seals as hats. You can also attack with your Overlord and use spells to kill/enslave the populace, but most of your time will be spent ordering your minions to commit devilish acts. I can't overstate enough how much personality is put into the minions- it's as if you took all of the best parts from the Gremlins franchise and mashed it up with the sense of humor displayed in the classic Dungeon Keeper games. They're sinfully delightful to behold. Page created in 1.4500 seconds.